E2i Creative Studio is proud to have been invited by the DHS Science & Technology First Responder Group to Washington DC on April 6-8th to participate in the 5th USA Science & Engineering Festival! 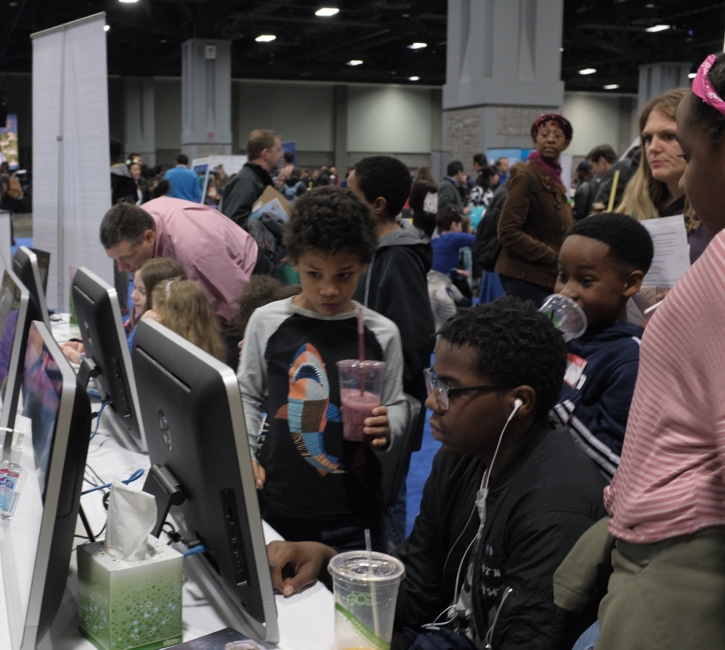 What a great opportunity to let some of the 350,000 attendees play a 2-player learning game on hurricane preparedness, exploring either preparing a house for a hurricane's arrival, or exploring how a hurricane changes many elements on its way to landfall. In addition, we demonstrated a prior research project on fire incident command, showcasing a transition partnership with North Star Simulations LLC for this critical first responder training.